PARIS — High winds brought down trees along several roads in Oxford County on Saturday afternoon. South Paris Fire and Rescue responded to several locations where fallen trees had blocked roads, including Route 117 and King’s Hill Road. According to South Paris Fire, barricades were set up, but motorists were driving around them. As of 7 p.m. Saturday, Central Maine Power reported 1,459 customers without power in Oxford County; 212 in Paris, 251 in Bethel, and 112 in Dixfield, among others. Andover Fire Department reported a tree down on Sawyer Notch Road in Andover. The department said the road was still barricaded as of 6:30 p.m. Saturday evening. 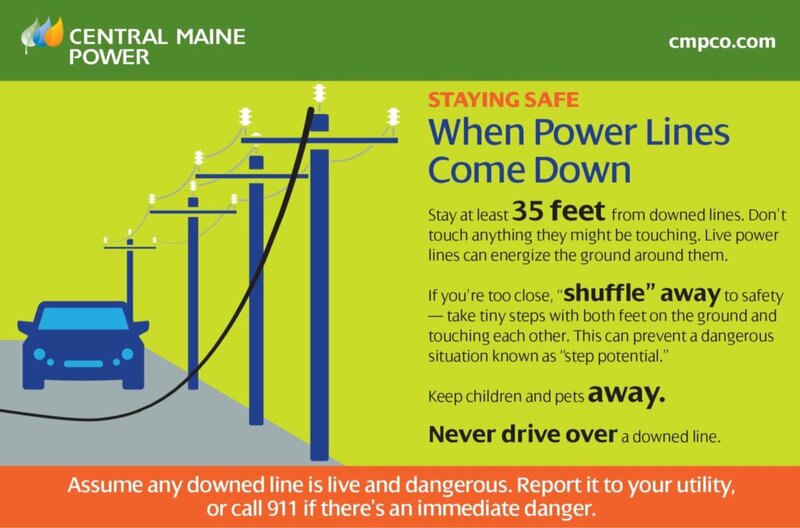 According to CMP’s outage website, 53 were without power in the town as of 7 p.m.
Eric Sinsabaugh of the National Weather Service in Gray said a strong cold front passed through Maine on Saturday afternoon with gust of winds between 40 and 45 mph behind it. Sinsabaugh said the peak of the gusts occurred in the region between 4 and 6 p.m., and the gusts fell to 30 to 40 mph by early evening. During the peak, a high-wind warning was issued to the region, but the warning was downgraded to an advisory around 7 p.m.
Canton Fire responded to downed power lines on Canton Point Road and Campbell roads.